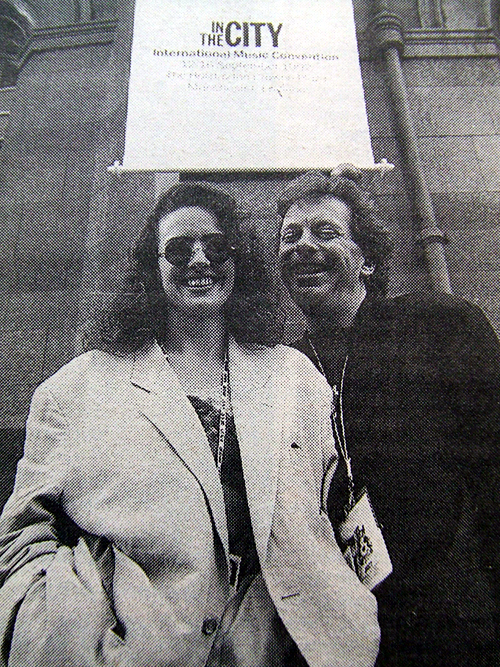 Manchester’s ‘In The City’ International Music Convention was organised in 1992 by Yvette Livesey and Anthony H Wilson after the latter had attended New York’s New Music Seminar a few years earlier. 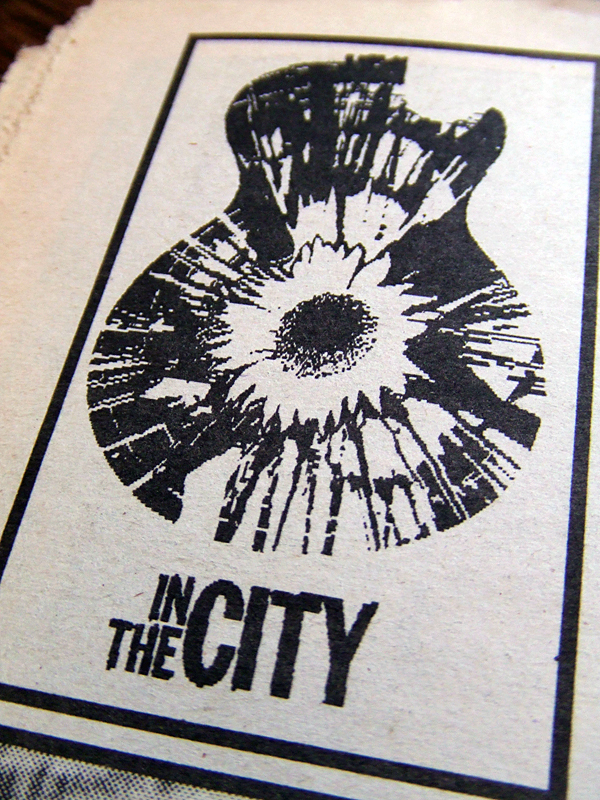 Depending on who you spoke to, it was either a vibrant forum for new music and new ideas, a shambolic talking-shop or a slick PR job for Factory records – take yer pick but I’d go for the last one. Hosted at various venues across the city, it ran for five days and cast a beady eye over the arguments, the scandals, the bands and the doings of the ‘major players’ and ‘important movers’ et al in the music industry. It’s still going strong too. More info here.. Anyway, back to 1992. 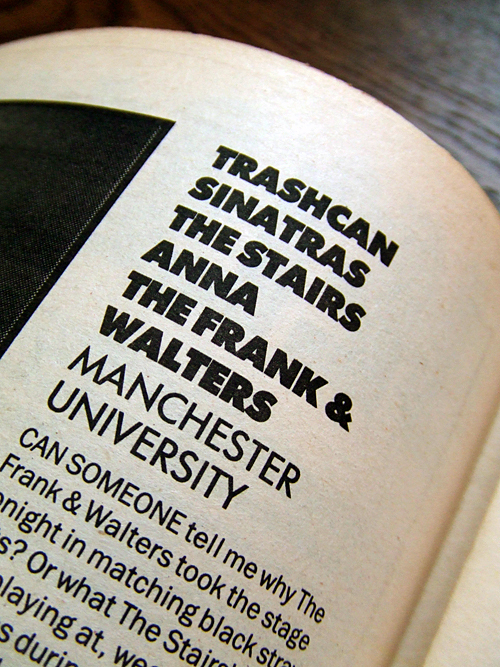 Top of the bill (but of course) at Manchester University was The Trashcans, ably supported by The Stairs, Anna and The Frank & Walters for what was the ‘Go! Discs Presents’ showcase.